Three years of searching later, the brothers seek the Philosopher's Stone, a mythical relic that allows an alchemist to overcome the Law of Equivalent Exchange. 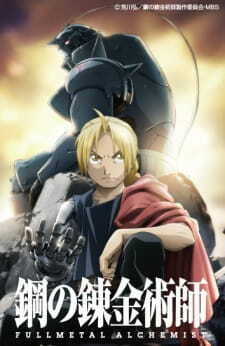 Even with military allies Colonel Roy Mustang, Lieutenant Riza Hawkeye, and Lieutenant Colonel Maes Hughes on their side, the brothers find themselves caught up in a nationwide conspiracy that leads them not only to the true nature of the elusive Philosopher's Stone, but their country's murky history as well. In between finding a serial killer and racing against time, Edward and Alphonse must ask themselves if what they are doing will make them human again… or take away their humanity.